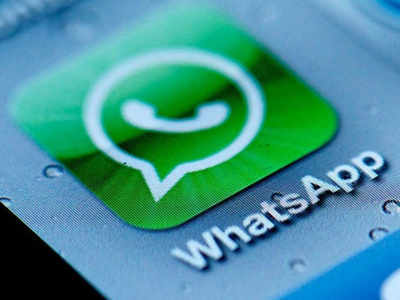 NEW DELHI: Instant messagingapp WhatsApp has rolled out a new update for its Androidusers who are using the beta version of the application. The latest app update (v2.19.45) comes with UI-based changes including a redesign of the Settings Menu as well as new icons. The new update does not include any new features but offers a cleaner look. WhatsApp has removed the lines that separated different options in the Settings menu. Besides that, it has also added the sections below each option. Under the Account option, it has also added icons for all the sections — Privacy, Security, Two-step verification, Change number, Request account info and Delete my account — which were earlier not there. Even the ‘Security’, ‘Change number’ and ‘Two-step verification’ screens have redesigned icons. The tools in the ‘Help’ section also have also dedicated icons now. Even though these changes are in the beta build as of now, they should be rolled out soon to the stable build as well. Last month, the Facebook-owned app rolled a new version of the app for the beta users that offered a few media related shorcuts. Post the update, when you view a media file shared on WhatsApp, you will be able to see new options including “Set as…” and “Rotate,” when you tap on the three dots on the right corner. While these are only applicable to images, one new option of “Show in chat” will be available for all images, audio and video files. Primebook Laptop Will Turn Android Into A Desktop Experience For A Few Bucks!